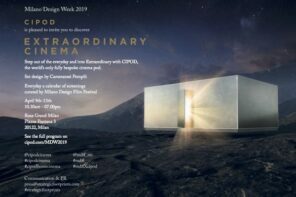 Would like to host a screening of the Milano Design Film Festival World Tour? The FAQs below will most likely answer most of your initial questions. For any further question please get in touch directly. At the Milano Design Film Festival World Tour, we aim to inspire design and architecture professionals, entrepreneurs, journalists, design curators, students and curious around the globe. We look forward to working with you to bring the Milano Design Film Festival World Tour to the big screen in your community. What does the typical Milano Design Film Festival world tour screening involve? The Milano Design Film Festival World Tour travels worldwide with a selection of short and long documentary films related to architecture, design, city planning, sustainability, art, fashion and food. We can plan together a single-event of 3 hours screenings or a multi-day show to define with MDFF. The films will be delivered in digital format (.mp4 or .mov). Once the tour dates and the film’s selection will be confirmed, we will send you a link to download: films, trailers, synopsis, high-resolution images and the tour logo kit. To support the communication of the screening, we will provide a template to create a leaflet and a poster for the local event. The planning and the logistic of the event will be managed by the host. Who can host a Milano Design Film Festival world tour screening? Anyone! Our tour can be hosted by a wide array of organizations including: companies, city design weeks, Italian Cultural Institutes or Italian embassies, schools and universities, corporations, theatres, cinemas, cultural organizations, Architect’s and Design’s Association, Italian Design Days in the world, design fairs and even individuals. Is the film selection customised? 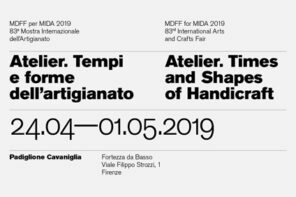 Milano Design Film Festival World Tour includes Design in Film: the Italian Creativity, a year selection of titles dedicated to the Italian design culture and biopics. To create a unique event, we can also curate a tailor-made film selection with the local host. Our goal is to create a cultural connection between countries. 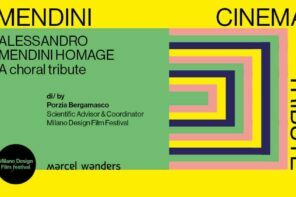 Also, our dream is to enrich our yearly Milanese event – Milano Design Film Festival – with titles emerged from this cultural bridge. Where can I host a Milano Design Film Festival world tour screening? The Milano Design Film Festival World Tour can be screened at just about any venue, large or small. We have played at theatres, university auditoriums, cinemas, museums, music conservatory and everywhere in between. As long as you can arrange for professional screening equipment, we can make it happen. Which technicals requirement are necessary to host a Milano Design Film Festival world tour screening? — A knowledgeable technician to operate the projector during the screenings. Yes, the Milano Design Film Festival World Tour operates on a fixed curatorial fee. It’s our policy to reward every filmmakers or distribution company each time their film is screened. This structure also allows the host to have complete control over ticket prices, local sponsor rates, etc., all designed to help you achieve your financial and/or fundraising goals. Yes, of course! Sponsors are a great way to help you cover the tour screening fee. We encourage you to reach out to business leaders in your community who would benefit from being associated with your event. Which kind of screening would do you prefer? How did you hear about the Milano Design Film Festival world tour? Why do you want to host a screening?